Kimbia enables nonprofits, higher education institutions and community foundations to find, convert and retain the highest-value supporters. Online-acquired donors who give to and share a nonprofit’s message across many channels (omni-channel supporters) have the highest lifetime value. Online revenue growth is outpacing all other channels, engaging major donors and more participants who in turn share their commitment with their family, friends, and colleagues. To be relevant, build trust and continue to inspire and retain supporters, organizations must continually be communicating, not just fundraising. This requires a steady stream of new and relevant content that motivates them to make your mission their mission. The presentations at SXSW Interactive is Friday, March 7th from 12:30pm – 1:30pm, Austin Convention Center, Room 5ABC. Miriam Kagan, Kimbia’s senior principal and fundraising strategist, and David Neff, digital engagement strategist at PwC, will host an interactive session on the Ethics & Future of Crowdfunding for Communities. 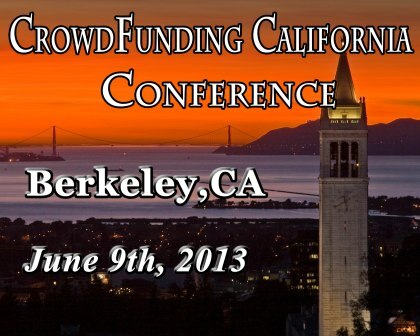 Attendees will work together to build a crowdfunding bill of rights. Kimbia’s omni-channel fundraising platform enables you to create a deeper donor relationship by leveraging the strengths of each channel and putting donors at the center of all development activities. Ultimately this approach results in greater brand awareness, giving and lifelong loyalty. To date, Kimbia is proud to support more than 5,000 customers to date, including the American Heart Association, Smithsonian Institution, YMCA of Metropolitan Dallas, Columbia University, Georgetown University, WGBH – Boston, KCSM – San Mateo, The Ragnar Relay Series, Beijing International Triathlon, MetroPCS Dallas Marathon, Communities Foundation of Texas, Community Foundation for Greater New Haven and The Boston Foundation. February 3, 2014 – For nearly 80 years, the Securities and Exchange Commission has been playing a vital role in the economic strength of our nation. Year after year, the agency has steadfastly sought to protect investors, make it possible for companies of all sizes to raise the funds needed to grow, and to ensure that our markets are operating fairly and efficiently. But, while commitment to this mission has remained constant and strong over the years, the world in which we operate continuously changes, sometimes dramatically. When the Commission’s formative statutes were drafted, no one was prepared for today’s market technology or the sheer speed at which trades are now executed. No one dreamed of the complex financial products that are traded today. And, not even science fiction writers would have bet that individuals would so soon communicate instantaneously in so many different ways. It is because we operate in this vast, fast, and ever-evolving securities market that the Commission, as the regulator of that market, must constantly adapt in order to continue to be effective. With that in mind, I thought I would speak this morning about some of the transformative changes at the SEC in 2014 and, while doing that, also preview a few of the specific rulemakings and other initiatives that I expect to be on our 2014 agenda. While there have been many significant changes since the SEC’s inception, few have had as much impact on our markets as the advances in technology. The manual trades on the exchange floor of the 1930s have given way to trading that is high-tech, high-speed, and widely dispersed among many different venues, some of which did not even exist when I last gave this address, but which now occupy significant parts of the market landscape. And that landscape changes and evolves further every day. It is not only our job to keep pace with this rapidly changing environment, but, where possible, also to harness and leverage advances in technology to better carry out our mission. And, despite significant resource challenges, we are doing precisely that across the agency. Let me give you a few examples. With NEAT, our examiners are able to access and systematically analyze massive amounts of trading data from firms in a fraction of the time it has taken in years past. In one recent exam, our exam team used NEAT to analyze in 36 hours literally 17 million transactions executed by one investment adviser. Among its many uses, NEAT can search for evidence of potential insider trading by comparing a database of significant corporate activity like mergers against the companies in which a registrant is trading and analyze how the registrant traded at the time of those significant events. NEAT can review all the securities the registrant traded and quickly identify the trading patterns of the registrant for suspicious activity. In 2014, our examiners will be using the NEAT analytics to identify signs of not only possible insider trading, but also front running, window dressing, improper allocations of investment opportunities, and other kinds of misconduct. This past year, we also brought on-line another transformative tool that enables us to collect and sift through massive amounts of trading data across markets instantaneously, an exercise that once took the staff weeks or months. We call this technology MIDAS – the Market Information Data Analytics System. Every day, MIDAS collects one billion records of trading data, time-stamped to the microsecond. Previously, only sophisticated market participants had access to this type and amount of trading data and even fewer were able to process it. At the SEC of 2014, we are aggregating this data and presenting it on our website along with a wide range of analyses. We have made these analyses readily accessible on your computer or even your tablet, with data available in clear, easy-to-read charts and graphs. MIDAS is already revealing some important, data-based realities that may resolve some of the speculations about behavior in today’s market structure. Just earlier this month, for example, the SEC staff published an analysis showing that for the most part the advent of public transparency for “odd lot” trades does not seem to correspond with a decline in such trades. The staff noted that this result suggests that a lack of transparency may not have been one of the drivers for breaking trades into odd lots, which some observers have suggested is a technique to hide trading activity. In the coming weeks, we are expecting to post further staff analysis of off-exchange trading, a review of research on high-frequency trading, and a data series on depth-of-book liquidity. I encourage you, after my remarks, to take a look at all of this – right on sec.gov. This is not your father’s SEC – or your mother’s or even your older brother or sister’s. In this rapidly changing environment, we must stay on top of advances in technology. NEAT and MIDAS are important tools that will help us keep pace with evolving technology. Our approach to technology in 2014, however, is not limited to building systems like these for us to keep pace with the evolving technology of the markets. We are also focused on ensuring that the technology used by exchanges and other market participants is deployed and used responsibly in a way that reduces the risk of market disruptions that can harm investors and undermine confidence in the integrity of our markets. Most recently, following the interruption of trading in Nasdaq-listed securities last August, I met with the leaders of the equities and options exchanges. At my urging, they pledged to work toward enhancing the integrity of market systems, including the critical market infrastructures that can prove to be “single points of failure,” such as public feeds of quotes and trades. They have since been working hard to develop and implement such measures, and I expect more to be done to address these vulnerabilities in 2014. In addition, I anticipate that the Commission’s 2014 rulemaking agenda will include consideration of the adoption of Regulation SCI – which stands for Systems Compliance and Integrity. As some of you know, Regulation SCI would put in place new, stricter requirements for the use of technology by exchanges, large alternative trading systems, clearing agencies, and securities information processors. Regulation SCI can be – and should be – the market-side counterpart to the intermediary-focused Market Access Rule adopted by the Commission in 2010 to better regulate how broker-dealers manage the technological and other risks associated with direct access to markets. It is not just technology that has changed over the life of the agency. So too have the financial products that investors, businesses, and other market participants use. In 1990, for instance, few people would have heard of a credit default swap or any of a number of the other products that make up today’s over-the-counter derivatives market. Yet two decades later, such derivatives comprise a multi-trillion dollar market. The Dodd-Frank Act directed the SEC – for security-based swaps – and the CFTC – for all other swaps – to create an entirely new regulatory regime for this massive market. Once this regime is fully in place, many over-the-counter derivatives will be traded and cleared on venues accessible by a wide range of market participants, with trade data made readily available to regulators and disseminated to the public. What was once an opaque, bilateral market will largely become a transparent, centrally cleared market. The Commission has proposed substantially all of the rules required to implement this new regulatory framework. With our proposal for the cross-border application of this framework last year, I expect the Commission in 2014 to move forward with finalizing and implementing these rules. Even when a product is not as new as an over-the-counter derivative, the use of the product may reveal previously unanticipated risks that suggest an evolution in our regulatory approach is warranted. The recent financial crisis provided an unwelcome laboratory for a number of these products. Money market funds, for example, have for decades been an important part of the financial marketplace. As we saw in the financial crisis, however, they can be exposed to substantially heightened redemptions if investors believe that a fund is about to lose value. The resulting instability in their value can harm investors as well as the entities that turn to money market funds for financing. In 2010, the SEC took a first step to address this heightened redemption risk by making the funds more resilient. The rule amendments adopted by the Commission in 2010 were designed to reduce the interest rate, credit, and liquidity risks of money market fund portfolios. The Commission said at the time that it would continue to consider whether further, more fundamental changes to money market fund regulation is warranted. Currently, the Commission is considering two significant proposals for additional reform that were put out for comment last June. One is a floating NAV for prime institutional money market funds – the type of fund that experienced problems during the financial crisis. The other proposal would require money market funds under certain circumstances to impose a liquidity fee and permit the imposition of redemption gates. This proposal is designed to stop a “run” and limit the resulting instability. These proposals could be adopted alone or together. We have received hundreds of letters on the proposals with a wide range of differing views that we are reviewing closely. Completing these reforms with a final rule is a critical priority for the Commission in the relatively near term of 2014. The financial crisis also revealed how another product – asset-backed securities – could create undue risks to market integrity and investors. Shortly after the financial crisis, the Commission proposed a new set of disclosure rules for asset-backed securities, which have evolved with the Dodd-Frank Act. Finalizing these new disclosure rules remains an important priority for the Commission in 2014. A related effort is the rules we are required to adopt jointly with several other agencies governing the retention of a specified amount risk by the sponsor of an asset-backed security. We re-proposed those rules late last year, and finalizing them will be a priority for 2014. Just as we have seen market technology and products evolve over time, we also have seen massive change in the ease and speed with which information and capital flows. This, in turn, has led companies, investors, Congress, the SEC and others to reconsider how companies can seek capital and communicate with potential investors. Indeed, we are at the start of what promises to be a period of transformative change in capital formation. In 2013, according to our estimates, capital raised in public offerings totaled $1.3 trillion, as compared to $1.6 trillion raised in offerings not registered with the SEC, with over 65% raised in new and ongoing Rule 506 offerings. So the private offering markets already rival the public markets in terms of capital raised. And, in 2012, Congress passed the JOBS Act, directing the Commission to implement rules that will have a significant impact on the private offering markets. I know you will be hearing a fair amount about this subject on your panels today, so let me provide just a brief overview of what the SEC will be working on in this space in 2014. In July, the Commission adopted rules implementing the JOBS Act mandate to lift the ban on general solicitation, and the rules became effective on September 23, 2013. Although existing Rule 506 continues to be a popular method for capital raising, issuers are taking advantage of the new rule. Preliminary information collected by our Division of Economic and Risk Analysis shows that through December 31, approximately 500 offerings were conducted, raising approximately $5.8 billion. Then, in October and December of last year, the Commission proposed rules to implement the JOBS Act mandates with respect to crowdfunding and Regulation A. While the final framework of these two exemptions is yet to be determined by the Commission, if the enthusiasm for them is any indication, I expect strong interest in raising capital through these mechanisms. Together, these changes should provide new and expanded ways for companies of all sizes, but particularly smaller companies, to raise capital. The final implementation of crowdfunding and an updated Regulation A is an important priority in 2014, and I expect that the Commission, after thorough consideration of all comments, will move expeditiously to finalize these rules. These rule changes for the private offering market are just the start of the Commission’s efforts. For the changes demand that the Commission stay focused on the ongoing implementation of the exemptions, what market practices develop, how much capital is being raised, how investors are impacted, and whether fraud or other misconduct is occurring in these markets. So, staff from across the agency is also set to monitor the developments in the markets following all of these changes. An agency-wide working group has been formed to monitor offering practices and other developments in the Rule 506 market. I have also directed the staff to form similar working groups for both crowdfunding and the new Regulation A. One key step in the effort to improve our monitoring of Rule 506 offerings will be the adoption of final rules – also proposed in July – relating to amendments to Regulation D, Form D and Rule 156. I know that you have a session later today during which you will discuss these proposed amendments, and I know, from the comment file, what many of you think. We are considering those comments very carefully. Advancing these important rules, after due consideration of the comments we have received, is another important priority for me in 2014. As we move to complete our rulemaking in the private offering area, it is important for the SEC not to lose focus on the public markets. I recently spoke about some of my ideas about disclosure reform and in December the staff issued a report mandated by the JOBS Act that gives an overview of Regulation S-K and the staff’s preliminary recommendations as to how to update our disclosure rules. I have asked the staff to begin an active review of our disclosure rules. We can all probably identify particular disclosure requirements that we might eliminate or modify, but that is not the kind of review and reform I am primarily focused on – and it certainly is not the kind of thoughtful and comprehensive review that I think our disclosure rules demand. I believe we should rethink not only the type of information we ask companies to disclose, but also how that information is presented, where and how that information is disclosed, and how we can take advantage of technology to facilitate investors’ access to information and make it more meaningful to them. I have asked the staff to seek input from issuers, investors, and other market participants in 2014 as part of this effort, and I encourage all of you to share your views and ideas. The ultimate objective is for the Commission to improve the disclosure regime for the benefit of both companies and investors. The agency’s evolution in response to a rapidly changing market is not confined to rulemaking or market oversight. We have also found it necessary to adapt our policies, priorities, and approach with respect to enforcement as well. And no discussion of the SEC in 2014 would be complete without my touching on some of these changes and giving you some idea of what to expect this year. The coming year promises to be an incredibly active year in enforcement, as we continue to vigorously pursue wrongdoers and bring enforcement actions across the entire industry spectrum. As you know, for many years, the SEC, like virtually every other civil law enforcement agency, typically did not require entities or individuals to admit wrongdoing in order to enter into a settlement. This no admit/no deny settlement protocol makes a great deal of sense and has served the public interest very well. More and quicker settlements generally mean that investors receive as much (and sometimes more) compensation than they would after a successful trial – and without the litigation risk or the inevitable delay that comes with every trial. Settlements also can achieve more certain and swifter civil penalties, and bars of wrongdoers from the industry or from serving as officers or directors of public companies – all very important remedies for deterrence and the public interest. So, why modify the no admit/no deny protocol at all? It is not a new question and one that many of you continue to ask. Even before my arrival as Chair, the Enforcement Division decided to require admissions where parallel criminal or other regulatory cases were brought with admissions. Why? Because admissions can achieve a greater measure of public accountability, which can be important to the public’s confidence in the strength and credibility of law enforcement and the safety of our markets. It is not surprising that there has also been renewed public and media focus on the accountability that comes with admissions following the financial crisis, where so many lost so much. And it should be no surprise that my views on admissions were formed long before recent events and were shaped by my time as United States Attorney. In the criminal realm, guilty pleas are accompanied by admissions of guilt, which eliminate any doubt about the conduct of the defendant and provide additional accountability for the crime. As United States Attorney, I made the decision that companies should, in certain circumstances, admit their wrongdoing, even if they were not criminally charged, but where there was a special need for public accountability and acceptance of responsibility. That is why, when I negotiated the first deferred prosecution for a company, back in 1994, I required an admission of wrongdoing, and I brought that mindset to the SEC when I became Chair last April. After studying and discussing the issue with the staff and my fellow Commissioners, I decided to modify the SEC’s protocol to demand admissions in an expanded category of settlements. That change occurred in June and you have begun to see it play out in a number of cases. When we first announced the change in approach, we outlined broad parameters of the types of cases in which we will consider requiring admissions as part of any settlement. And now, we have a number of cases with admissions that illuminate those categories. So, for example, we have said we will consider admissions in cases involving egregious conduct, where large numbers of investors were harmed, where the markets or investors were placed at significant risk, where the wrongdoer poses a particular future threat to investors or the markets, or where the defendant engaged in unlawful obstruction of the Commission’s processes. Just last month, we required three brokerage subsidiaries to admit to a scheme in which they repeatedly deceived their customers about their compensation on securities transactions – and in some cases even provided falsified trading data to their customers in an effort to avoid detection. The conduct was egregious and harmed many investors, thereby justifying admissions. Similarly, we demanded that a bank admit that its internal controls were deficient in failing to detect and prevent, and then disclose to its board and investors, massive losses by some of its traders, thereby putting millions of shareholders at risk and resulting in inaccurate public filings. To be sure there was no ambiguity about the misconduct of a defendant who was continuing to deal with investors, we required a hedge fund adviser to not only agree to a bar from the securities industry for five years, but to also admit to misuse of more than one hundred million dollars of fund assets in order to pay his personal taxes through a personal loan that was not timely disclosed to investors. As we go forward in 2014, you will see more cases involving admissions. When and how we decide to require admissions will continue to evolve and be subject to further articulation in the cases we bring and as we discuss it publicly. This year will likely see us complete our docket of major investigations stemming from the financial crisis. As we do, our focus and resources will naturally turn to other priorities. This shift has already begun. Last fall, the Enforcement Division formed a Financial Reporting and Audit Task Force. This dedicated group has very talented accountants and attorneys who will broaden and thereby improve the way we look at financial reporting misconduct. The Task Force is pursuing a number of goals, including building a deep understanding of the state of financial reporting fraud – not just why it happens, because there is plenty of learning on that question, but how it happens and in what specific areas. As you would expect, we look closely at the auditors in every financial reporting case, but we are also closely focusing on senior executives for possible misconduct warranting charges. The message is that critical accounting issues are the responsibility of all those involved in the preparation and review of financial disclosures. As I have discussed, technology has worked a fundamental shift in the way securities are priced and traded – a shift that has only accelerated in the past several years. In the last two years, we have tried to send a strong enforcement message to the exchanges and alternative trading systems that play critical roles in securities market transactions that they must operate fairly, within the rules and with a close eye on their responsibilities to safeguard their technology. Cases have been brought against an exchange that inadequately tested its IPO systems and was therefore unable to handle a highly anticipated IPO and then did not follow its own rules in the aftermath; against a different exchange for compliance failures that gave certain customers an improper head start on trading information; and against a dark pool for failing to protect the confidential trading information of its subscribers. When technology presents new opportunities for innovation, changes must be deployed responsibly, after careful testing, and within the rules and parameters of the trading environment. Market structure integrity actions will remain a priority in 2014. As you will hear when Andrew Ceresney, our Director of Enforcement speaks to you over the coming days, there are many other enforcement priorities for 2014 that you should be aware of. These include, but are by no means limited to, FCPA, insider trading, and microcap fraud. It will, in short, be a very busy year in enforcement. I hope I have given you a sense of some of the things we will be doing in 2014 and a flavor for how dramatically and vibrantly things have changed at the SEC as our world and markets have changed. There is more, of course, we will be doing and considering in the coming year, both on our own initiative and as required by the Dodd-Frank and JOBS Acts – equity market structure, duties of brokers-dealers and investment advisers, the management and responsibilities of clearing agencies and credit rating agencies, Dodd-Frank executive compensation rulemaking, target date funds, systemic risk issues, broker-dealer financial responsibility, and more. It is a constant, but always exciting, challenge to keep pace and indeed to accurately see around the next corner for the newest market developments or another innovative variant of, or new venue for, fraud. I now am privileged to have an up-close and personal role in all of this. And it is my strong conviction that the women and men of the SEC are, as has always been true, more than up to these challenges. As Alan Levenson said in January 2003, almost eleven years to the day when he spoke about the strength of the SEC: “It was the creativity of the staff… [they] had a drive and a genuine interest in protecting investors and the public interest….” The challenges and tools change, but creativity, drive, and commitment to the mission continue unchanged at the SEC in 2014. Alan Levenson, I think, would be very proud. Organizers of the 24th annual SRI Conference will be hosting a leading North American forum on Crowdfunding solar and clean technology projects for investors and investment professionals on October 28-30, 2013 at The Broadmoor in Colorado Springs, Colorado. One featured Solar & Clean Technology Crowdfunding Session will be moderated by Dan Adler, managing director of the Clean Energy Angel Fund and CalCEF, and will include a presentation from Dan Rosen, CEO of the leading solar crowdfunding companies in the United States, Solar Mosaic, which will explore the clean tech landscape and the newest products and strategies for sustainable and responsible investors. “Investing in Clean Tech: Expanding Opportunities for ESG/SRI Investors,” will focus on recent developments in crowdsourcing, green bonds, clean energy victory bonds, PACE financing, MLPs, and REIT eligibility. The is a leading North American forum for investors and investment professionals involved in sustainable, responsible, impact (SRI) investing, will be October 28-30, 2013 at The Broadmoor in Colorado Springs, Colorado. First Affirmative Financial Network, LLC is an independent Registered Investment Advisor (SEC File #801-56587) offering investment consulting and asset management services through a nationwide network of investment professionals who specialize in serving socially conscious investors. Dan Adler, managing director of CalCEF and president, CalCEF Ventures, will moderate the clean tech session at the SRI Conference. In addition, other leading experts on the clean tech panel will include: Matt Ferguson, principal, Reznick Group; Jeff Eckel, president and CEO, Hannon Armstrong; and Nancy Pfund, managing partner, DBL Investors, and board member of Primus Power, SolarCity, Solaria, Eco­logic, Pow­er­Genix, and Bright­Source Energy. This session was organized by Doug Arent, Executive Director of the Joint Institute for Strategic Energy Analysis at the National Renewable Energy Laboratory (NREL), a long-time member of the conference Agenda Committee. The CalCEF group is a nexus for entrepreneurs, investors, energy companies, industry, government, and academia engaged in development and advancement of clean energy. CalCEF is a family of non-profit organizations working together to accelerate the movement of clean energy technologies along the continuum from innovation to infrastructure using tools from finance, public policy and technological innovation. Solar Mosaic connects investors to high quality solar projects. Our mission is to open up clean energy investing and fundamentally change the way energy is financed. The fundamentals of solar makes it an attractive component of a diversified investment portfolio: reliable technology, predictable energy output, and stable cash flows. Every Mosaic project is carefully vetted and structured to minimize risk while maximizing benefits to investors and to the planet. Thousands of people from across the United States have invested millions of dollars to finance solar projects through Mosaic’s online marketplace. CohnReznick is a nationwide network of accounting, tax and business advisory services, with offices from Boston to Los Angeles. Reznick Group has acquired technical consulting firm Think Energy, Inc., enabling the firm to provide full project life-cycle advisory services to clean technology developers, investors and utilities. Hannon Armstrong is a specialty finance company that provides debt and equity financing for sustainable infrastructure projects that increase energy efficiency, provide cleaner energy sources, positively impact the environment or make more efficient use of natural resources. Formed more than 30 years ago, Hannon Armstrong has provided or arranged over $4.0 billion of financing in more than 450 sustainable infrastructure transactions since 2000. Hannon Armstrong is a publicly traded company on the New York Stock Exchange under the ticker symbol “HASI”. DBL Investors uses venture capital to accelerate innovation in a way that positively impacts an organization’s social ecosystem as well as its financial success. DBL believes that positive social change and a healthy financial performance are inherently connected. The firm invests in and helps nurture outstanding entrepreneurs and companies in Cleantech, Information Technology, Health Care, and Sustainability-Oriented Products and Services. What is the Potential of Renewable Energy Crowdfunding?